Infinispan is an extremely scalable, highly available key/value data store and data grid platform. It is 100% open source and written in Java. 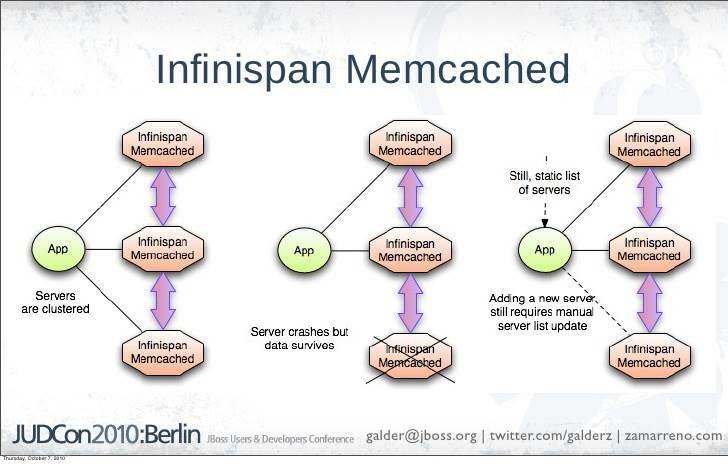 The purpose of Infinispan is to expose a data structure that is distributed, highly concurrent and designed ground-up to make the most of modern multi-processor and multi-core architectures. It is often used as a distributed cache, but also as a NoSQL key/value store or object database. Cache and CacheManager authorization with support for custom auditing, optionally integrated with the JDK SecurityManager. Remote client authentication based on SASL and integrated with the Security Realms in the server. Clustering authentication and authorization integrated with the Security Realms in the server.